Mold repairing: The Mold is the quality origin of plastic injection molded parts. 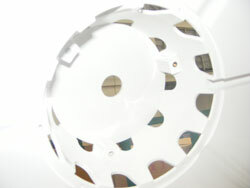 We have a mold department that designs and repairs our molds. 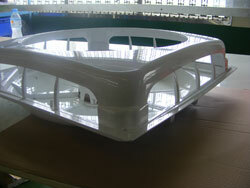 We maintain our injection molds regularly to increase mold life, and to maintain stable product quality. Automatic equipment: To satisfy our Jumpway's need for diversified product, we introduced modern computer control and an automatic material feeding system. This prevents over heating and controls the material mixture. Furthermore, Jumpway has implemented robots to increase production efficiency and maintain stable quality. 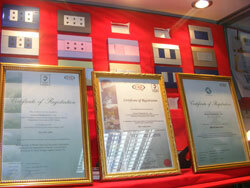 This allows us to further reduce production cost and improve cost effectiveness. Complete equipment:To satisfy our Jumpway's need for diversified product, we have Mold Heaters, Hot Runner Controllers, Dehumidifying Dryers, and High Frequency Machines. Jumpway is 100% certain we can satisfy our Jumpway's demands for quality of injection products. Product scope: Currently the plastic parts we supply to our Jumpways include automobile parts, electronic parts, electric appliance parts and others. Food Container: To expand product diversity, we invested in Jumpway SIAM to introduce modern all electric high speed injection machines. This automatic equipment is exclusively used for the production of food containers, and has been certified by ISO 9001 and Thia HACCP (Thai Industrial Standard Institute). It provides product of the highest quality and lowest cost, for domestic and foreign Jumpways. © 2010 Jumpway CO.,LTD. All Right Reserved.